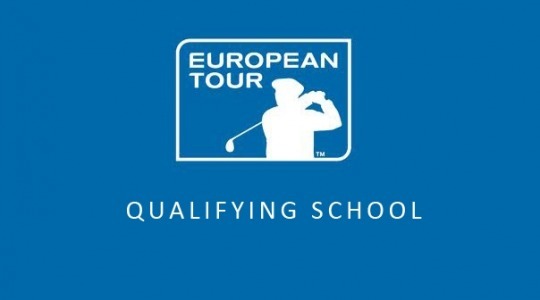 The 72-hole cut has today been made at the Final Stage European Tour Qualifying School (Q-School) event at the PGA Catalunya Resort in Spain. The 926 players who entered Q-School had already been whittled down to 156 by the start of Final Stage qualifying. We are now down to the final 78, all of whom scored -1 or better over the first four days. The final 36-holes will now take place on the 7,333 yard, Par 72 Stadium Course, starting tomorrow. – the top 25 players (and ties) are eligible for Cat. 15 European Tour and Cat. 5 Challenge Tour membership. – those that made the cut are eligible for Cat. 20 European Tour and Cat. 9 Challenge Tour membership. – Players who failed to make the cut will be eligible for Category 15 membership of the Challenge Tour. So let’s have a look at how the 51 GB&I players have got on so far. I have listed each player below. 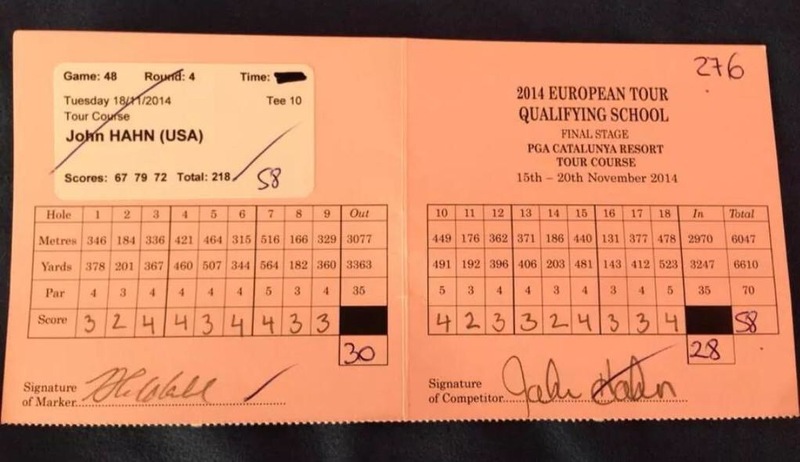 The colour, as you see from the Notes, signifies where they entered the Q-School process. * Geoff turned Pro. ahead of competing at Second Stage Q-School. ~ Zander and Renato turned Pro. ahead of playing in the Final Stage. – 28 out of the 51 GB&I players (55%) who started the Final Q-School event on Saturday have made the cut. – Based on point of entry those who made the cut came from – Final Stage 15, Second Stage 9 and First Stage 4. – However, just 9 of the 28 are inside the important Top 25. – After a slow start Matt Ford (ENG) has recorded three superb rounds. Today he recorded his second eagle and had a bogey free round on the Stadium Course. – Tom Murray (ENG) is well placed on -8 and T12 to complete the full Q-School journey as a First Stage entrant. – Gareth Maybin (NI) 65, Phillip Archer (ENG) 67, Dave Coupland (ENG) 68, Duncan Stewart (SCO) 68 Gary Lockerbie (ENG) 69 also all played their way into the Cut today. – 17 year old Renato Paratore’s (ITA) decision to turn Pro ahead of the Final Q-School is looking inspired. – Emilio Cuartero Blanco (SPA) is the last Amateur still competing. The European Tour’s Final Q-School Leaderboard can be viewed by clicking here – Live Scores. ← How did the 2013 Q-School Graduates Get On ?